I told you yesterday that this week StampNation is celebrating it's third birthday. What better to celebrate than a three layer chocolate cake? 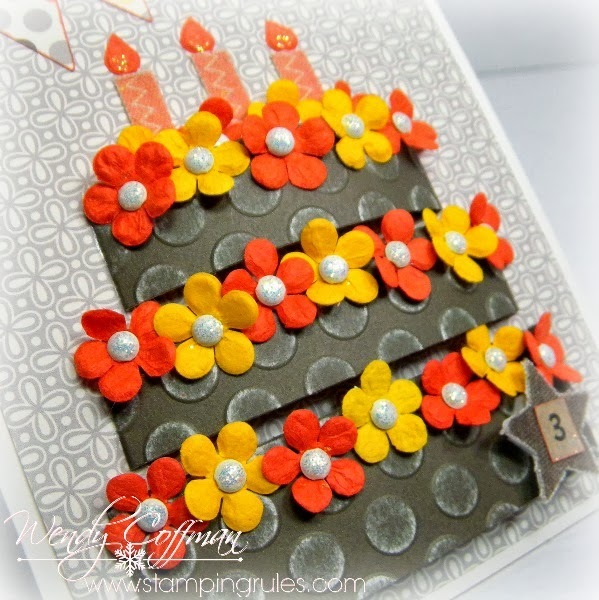 I used Prima Flowers to decorate the layers and glittered the brad centers with Diamond Stickles. The paper is Babycakes. You'll be seeing a lot of snippets of birthday cards from me this week as part of the celebration - members can see the full cards over at StampNation. Want to learn more? Check it out here at Catherine's Blog. If only gluten free baking were as easy as paper and glue!